Today we have been tuning a BMW X5 3.0D. These BMW X5’s have a claimed stock power of 232bhp from factory and our initial dyno run showed 230bhp so bang on the money. 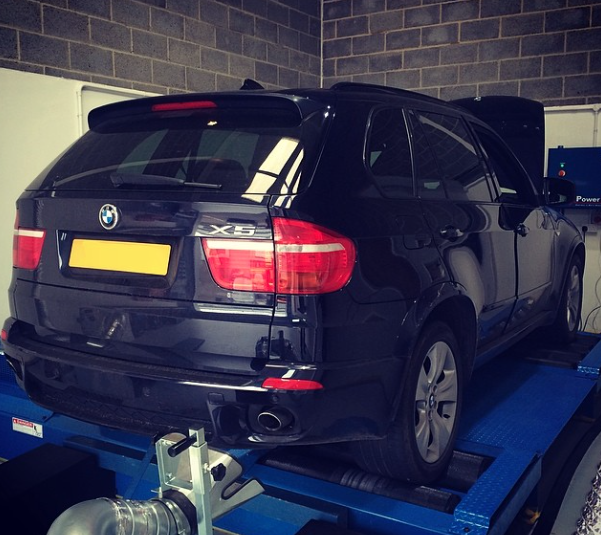 We then proceeded to install our BMW X5 Performance ECU Remap and the car then produced 282bhp and significantly more mid-range torque really transforming the drive. Whilst this customer didn’t opt for our stage-2 tuning which offers even stronger gains by remapping the BMW X5 Gearbox TCU these are still very impressive gains! Our Stage 1 BMW X5 Engine ECU remapping prices at £360 including VAT and our Stage 2 (Engine and Gearbox) prices at £795 inc VAT. Call us today to arrange your BMW X5 tuning on +44 (0)1795 342006. This entry was posted in General and tagged 3.0D, bmw, bmw performance, bmw remap, bmw tcu tuning, bmw x5, bmw x5 remapping, bmw x5 tuning, ecu, essex remap, gearbox remap, gearbox remapping, london remapping, maidstone remap, msport, remap, remapping, remapping in kent, remapping in maidstone, remapping in sittingbourne, sittingbourne remap, tcu, tcu remapping, tcu tuning, tuning, tuning in kent, tuning in maidstone, tuning in sittingbourne, x5. Bookmark the permalink.